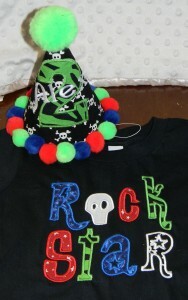 My little love had a blast, and I had a blast planning his celebration!! I love him like crazy! No, I didn’t get swallowed whole by anything…put your spare change away…no rescue fund donations are necessary. So sorry I haven’t posted in a week! But it was a BIG week! I now have a big boy. A two-year-old. I know, I can’t believe it either! There wasn’t one cloud in the sky in celebration of my beautiful son, my sun, on the day he turned two. But there was a big bash! Of course there was…I am his Mommy. I grew up on The Beastie Boys’ (You’ve Got To) Fight For Your Right To Party (RIP MCA). You must know by now I am insanely slightly detail oriented. I like things to be just so freaking perfect when it comes to party planning. Scott dubbed Alex’s 2nd birthday party his bar mitzvah, but whatever. It was awesome! Post party, I am now suffering from a one-two punch of bronchitis and a sinus infection (not diagnosed by me, Mommy MD, I actually schlepped into the doctor today with my toddler in tow). 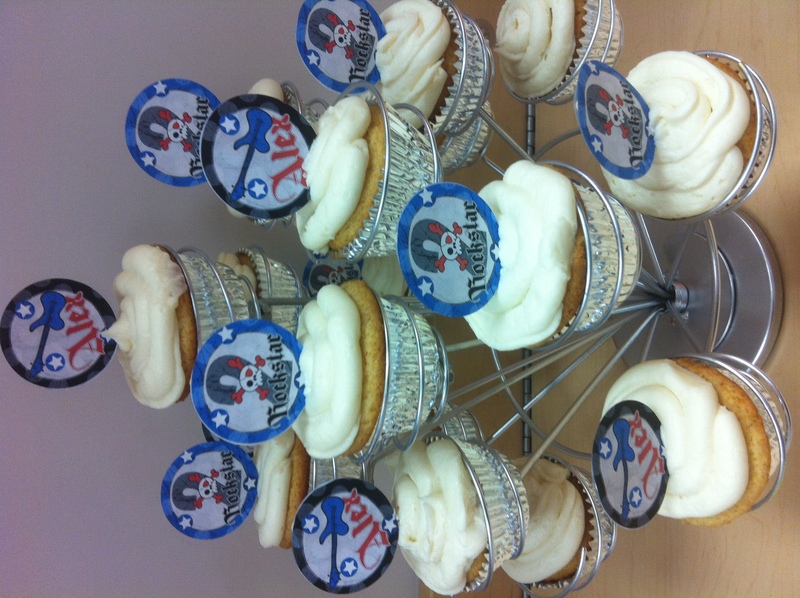 In the interest of getting some rest and giving props to the incredible women/companies that helped me pull of Alex’s special day, I am listing a few of them here…plus the recipe for my Mom’s cupcakes we served at the party. 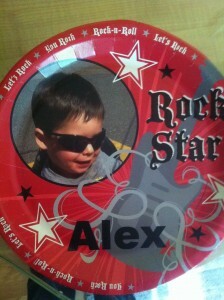 Thanks to all who helped me honor my little rock star! He’s still singing the Happy Birthday song to himself two days later. I would call that a success! 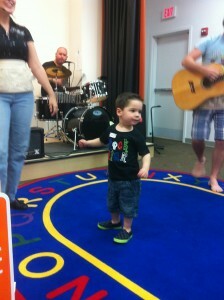 Alex enjoying the band at Kidville! He loves being the center of attention! Kidville: If there’s a Kidville near you, check it out! It’s a kid’s fantasy land! 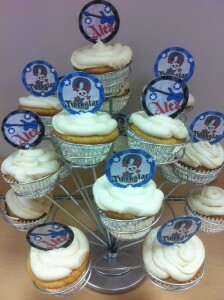 Alex takes incredibly enriching and fun classes there, and the staff are warm and supportive (thanks, Kaitlynn!). We chose the Rockin’ Railroad party with a talented four-piece band because Alex likes to shake his booty with wild abandon…the bigger the audience, the better. Wonder where he got that from? Alex's outfit! He rocked it! Outfit: MommyTime Designs. I order Alex’s outfit every year from Michelle at MommyTime Designs, and I am never disappointed. She makes the cutest shirts and party hats! They were almost too adorable to eat off of...almost. 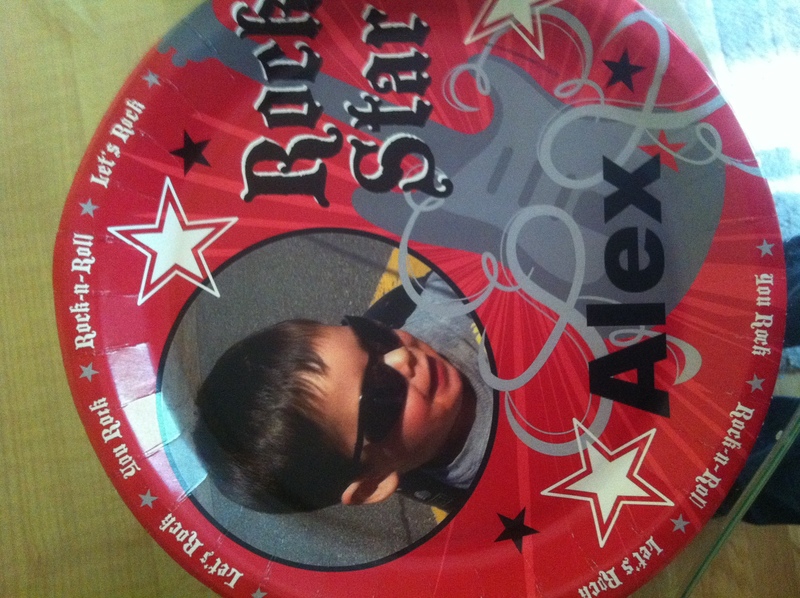 Plates: Everyone freaked about Alex’s personalized plates that were inexpensive and easy to create online at Birthday Express. Whisk together the flour, sugar, baking powder, and salt in a bowl of a standard mixer using the paddle. Add the butter, sour cream, egg, egg yolks, and vanilla. Beat on medium speed about 30 seconds. Scrape down the bowl and mix until the batter is smooth (do this step by hand). Place cupcake liners in your cupcake pan. Fill them with the batter until they’re about half full. Bake for 20-24 minutes. Allow to cool in pan before handling. Put the butter in a large mixing bowl. Add 4 cups of sugar and then add the milk and vanilla. On medium speed of the mixer, beat until the mixture is smooth and creamy (about 3-5 minutes). Gradually, add the rest of the sugar (1 cup at a time). Beat two minutes after each addition of sugar. Add enough sugar until icing is of good spreading consistency. Use and store the frosting at room temperature as icing will set in the refrigerator. Store icing in the refrigerator for up to three days. 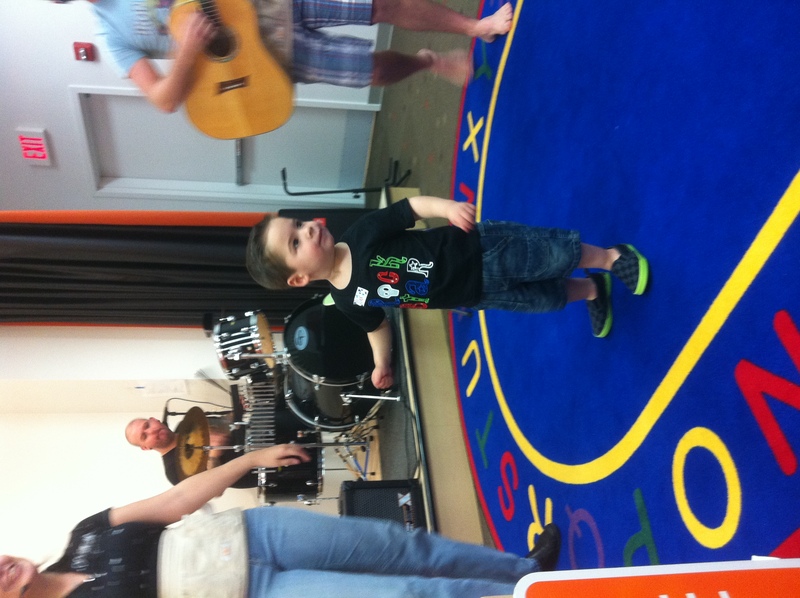 This entry was posted in Dishes, Family, Food, Kids, Mommy, Parents, recipes, Uncategorized. Bookmark the permalink. I *still* can’t get over the plates! Thanks for a great birthday party…great job mom 🙂 Happy 2nd Alex!! Looks like an amazing party! Happy Birthday to your adorable little boy! Everything looks great! Congrats mommy on two years, and happy birthday to your affordable little boy. Oops adorable little boy! Autocorrect strikes again!